Singapore's sovereign wealth fund GIC Pte Ltd, among the world's biggest investors, said it was turning cautious and expected returns to slow over the next decade, given high valuations, uncertainty over monetary policy and modest economic growth. "Compared to last year, the world has become more uncertain ... but the market seems quite happy," GIC's CEO Lim Chow Kiat said in an interview, as the fund published its annual report. "I hope the market is right, but we are cautious." Smaller Singapore peer Temasek Holdings focuses on equities, but GIC, set up to manage Singapore's foreign reserves, adopts a more conservative investment strategy, with the long-term goal of beating global inflation. GIC is ranked the world's tenth biggest sovereign investor, with about $343 billion worth of assets, according to Sovereign Wealth Centre. On Monday, the fund said its portfolio return was 5.1 percent per annum in U.S. dollar nominal terms over the five years to March 31, 2017, helped by the run-up in global financial assets, versus 3.7 percent a year ago. But that was below the 6 percent return of GIC's reference portfolio of 65 percent global equities and 35 percent bonds. "We are prepared for a period of protracted uncertainty and low returns," said Lim, 47, who took charge as the CEO in January after a 24-year career at the fund. While market volatility was low by historic standards, helped by accommodative monetary policies, it was out of sync with increased overall uncertainty, the fund said. Current valuations, it added, suggest excessive optimism over future earnings. MSCI's gauge of world equities struck record highs last month. "Two years ago, we said the market would return x over the next 10 years. We would argue half of the x was returned in the first year, year and a half," said Jeffrey Jaensubhakij, GIC's Chief Investment Officer. "Now there is only half an x over the next eight and a half years." In a low-growth, low-yield environment, sovereign wealth funds such as GIC are facing an ever greater challenge to make enough returns to hit internal targets. GIC reported a 20-year annualised real return - its key measurement gauge - of 3.7 percent above global inflation for the year ended March, down from 4 percent a year ago. GIC invests in growth and defensive assets such as emerging and developed market equities, real estate, private equity and inflation-linked bonds and is known to be a patient investor. GIC's cautious comments come days before Temasek is likely to report a rebound in its assets to a record high. With more than 1,400 staff, GIC says it manages "well over" $100 billion of assets, but does not disclose the exact size of its portfolio. It has 34 percent of its assets in the United States, followed by 19 percent in Asia excluding Japan, and 12 percent each in Japan and the Eurozone. Emerging market equities, which accounted for 17 percent of GIC's portfolio, offer opportunities after a few challenging years and subsequent reform, Jaensubhakij said - as opposed to developed markets such as the United States after an election-fuelled rally. 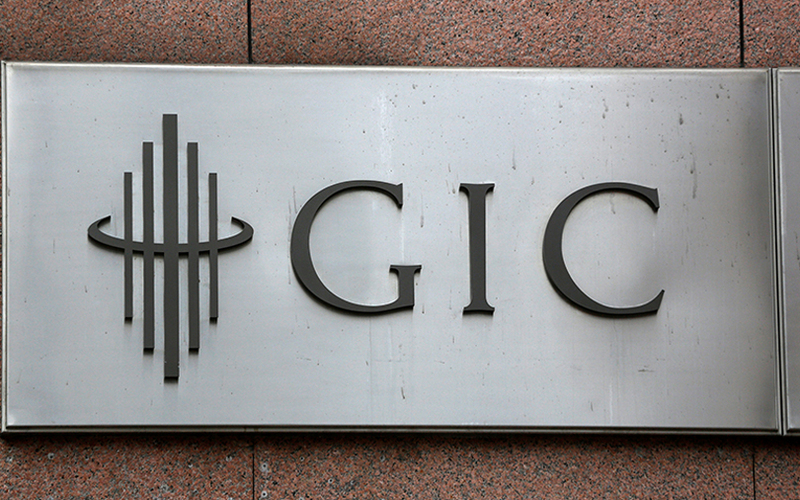 GIC rarely comments on individual holdings, but it hit headlines in May when it pared its stake in UBS Group at a loss to 2.7 percent from 5.1 percent. GIC attributed the sale to changes in UBS' strategy and business. GIC, one of the first sovereign funds to invest in Western banks during the global financial crisis, retains the other major investment made at the time, a stake in Citigroup which is profitable at current prices.